I wish I had 0101 cents for every educator who has told me that her students “do a little Scratch.” I always want to respond, “Call me when your students have done a lot of Scratch.” Coding isn’t breaking a code like when drunken insurance salesman go to an Escape Room as a liver bonding exercise. The epistemological benefit of programming computers comes from long intense thinking, communicating your hypotheses to the computer, and then either debugging or embellishment (adding features, seeking greater efficiency, decorating, testing a larger hypothesis). That’s right. 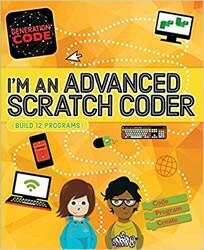 There are a few very good books that teach children to program in Scratch using a project-approach. The books are completely accessible for a fifth grader. (or older) Here’s what you do. Super Scratch Programming Adventure! : Learn to Program by Making Cool Games is a graphic novel filled with Scratch projects. 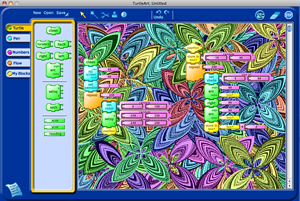 Natalie Rusk’s terrific Scratch Coding Cards are a must-have for any Scratch-using classroom. 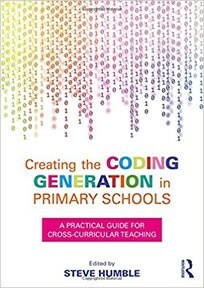 Sylvia Martinez and I wrote a chapter in the new book, Creating the Coding Generation in Primary Schools. * There are a plethora of reasons why I believe that Computer Science for All is doomed as a systemic innovation, but I will save those for another article.